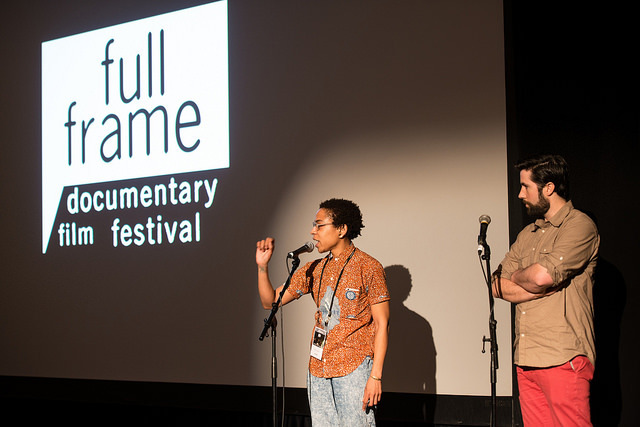 The Garrett Scott Documentary Development Grant provides travel and lodging expenses for first-time documentary filmmakers to attend Full Frame and take part in all that the festival has to offer. Now in its tenth year, the grant is awarded to two first-time directors, in honor of the late filmmaker Garrett Scott. Applications are now being accepted for the 2016 grant. Previous recipients of the grant have received significant recognition, screening their finished works at Full Frame and other prestigious festivals around the world. Full Frame recently spoke with filmmaker Lyric R. Cabral, who received the grant in 2013 for (T)ERROR, co-directed with David Felix Sutcliffe. The film had its world premiere at Sundance, and won the 2015 Full Frame Grand Jury Award. Why did you decide to apply for the Garrett Scott Documentary Development Grant? I began attending the Full Frame Documentary Film Festival in 2007, and was drawn to its high caliber of programming and the opportunity to meet filmmakers and members of the industry. When I started making my annual pilgrimage to Durham for the festival, I worked as an editorial photojournalist and had only a vague interest in documentary filmmaking. While attending the festival over the years, this vague interest transformed into a compulsion that I too must make a documentary that could one day be seen at Full Frame. I learned about the Garrett Scott Documentary Development Grant at the festival and knew that, once I had a viable project, I would apply with my first documentary. I appreciated the sense of community associated with the Garrett Scott Grant, and knew that it could help to support and raise the profile of (T)ERROR (co-directed with David Felix Sutcliffe). Tell us about your experience coming to Full Frame and screening your work-in-progress. How was the grant beneficial to the development of your film? 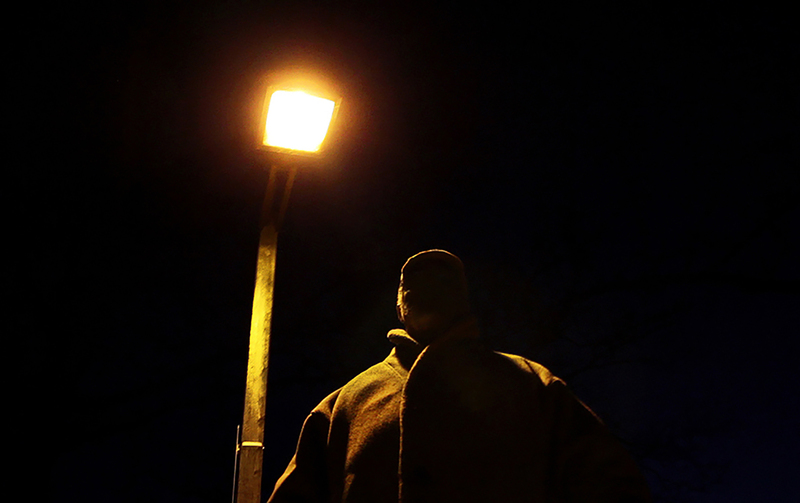 The Garrett Scott Documentary Development Grant was instrumental in connecting (T)ERROR with funders, advisors, and colleagues who were critical in bringing the film to completion. Part of the grant entailed pairing David and I with industry representatives, with whom we were able to build relationships that enabled the film to be widely seen. These relationships provided us with support and consultation throughout production and post production, and also helped us to liaise with potential distributors and press outlets. Give us an update on your film since you received the Garrett Scott Grant. (T)ERROR was selected for the Sundance Edit Lab and the Sundance Creative Producing and Story Lab. The film premiered at Sundance and has screened at numerous festivals including Full Frame, True/False, Tribeca, the Human Rights Watch Film Festival, the Camden International Film Festival, and CPH:DOX. 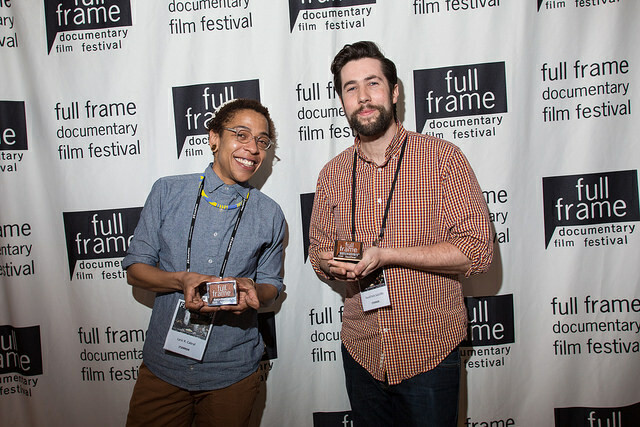 (T)ERROR won the US Documentary Special Jury Award for Break Out First Feature at Sundance and the Grand Jury Award at Full Frame. Additionally, the film was awarded the Bertha BRITDOC Journalism Fund Grant, and the International Documentary Association Emerging Filmmakers Award. What advice would you give to other first-time documentary filmmakers? I would encourage first time filmmakers to pursue a subject matter about which they are passionate, for which they are willing to risk potential loss of sleep, fiscal resources, and sanity. I also think that it is important to chose good filmmaking partnerships, as far as selecting a team who will help to facilitate a director’s creative vision. I am working as Supervising Producer of YOUNG BLACK AMERICA, an episodic documentary series premiering on VICELAND in 2016. I am currently directing my second feature length documentary, THE RASHOMON EFFECT, which is in the early stages of production. Click here for more information on the Garrett Scott Grant and instructions on how to apply for Full Frame 2016.